My name is Tracy Lee Fitch. I hated my middle name when I was a child. I thought I had a boy’s name. Every other girl I knew with the same middle name, spelled it Leigh, so I always felt different. But, as an adult I realize it is good to be different and I think my whole name is unique and pretty. I have lived in Georgia my entire life. I grew up in a town called Newnan, Georgia which is part of metro Atlanta. I had the privilege to live in beautiful Savannah, Georgia for a year, but since have moved back to the metro Atlanta area. I now live in Smyrna, Georgia with my husband and our dog, Digory. I lived in Brazil for two months during the summer between my Junior and Senior years of college. I was mostly in Rio de Janeiro, but also spent a week in Brasilia. I’ve been to England twice. The first time for 3 weeks on my own when I was single and the second for a week with my husband. When I was in high school I went on a school trip to New York City and got lost. I think everyone should get lost in New York City at least once in their life! My mom grew up in up state New York, so I’ve been to Syracuse, Auburn, Rochester, Skaneateles Lake, Lake Ontario and Niagara Falls several times. With my husband we have traveled to Costa Rica, Washington DC, San Francisco, Oregon, Universal Studios Orlando (Wizarding World of Harry Potter!) and many other random places. We recently went on an anniversary trip to Disney World and realized how much we love theme parks. 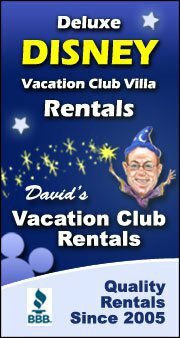 So, we purchased a Disney Vacation Club timeshare and plan on many more trips to Disney down the road. How did you decide to work with the blind? Following graduation from college, I began working with a young girl who is blind and as an assistant to a TVI. I fell in love with the student, with braille, and with the entire field and chose to go back to school to learn to be a teacher of the blind. I work with school age kids age 3 to 21 who are blind or visually impaired. Visually impaired does not mean that you need glasses to read. A person who is visually impaired still has significant vision loss even after correction. This means that they need tools like magnifiers, telescopes, and other technology to help them see better. Many people who are visually impaired still read regular print. But, some of my students’ visual impairments are so severe that reading print is either too difficult or impossible, so these kids learn to read braille just like Kitty Madison. I work as an itinerant teacher which basically means that I live in my car. Well, no, not really. But I work with lots of students all over the county, so, I go to lots of schools throughout the week and drive around a lot. I finished my Masters Degree in Visual Impairments from West Virginia University in 2011. I am also referred to as a TVI or sometimes a Vision Teacher. Have I written other books? I started writing and journaling when I was in high school. I have written many poems, but had never attempted a story of this magnitude before writing Kitty Madison. I had the idea to write a story about a child who is blind for long time. I truly enjoy writing and felt a great sense of accomplishment over the completion and publication of Kitty Madison. I blog for my website and also blog for the Paths to Literacy website where I share ideas and strategies for working with students with visual impairments. What books do I like to read? I love reading children’s and youth literature. My favorite book as a child was, The Giver by Lois Lowry. As a teenager and adult I fell in love with Jane Austen’s works and Charlotte Bronte’s Jane Eyre. Authors I enjoy reading are: Sarah Dessen, Shannon Hale, Lois Lowry, Gail Carson Levine, J.K. Rowling, C.S. Lewis, Meg Cabot, Robin Mckinnley, Lisa Klein, and Ally Carter just to name a few. What other things do I like to do? I like to watch movies and television, I love to draw and paint, I love all things crafty and I love to travel.